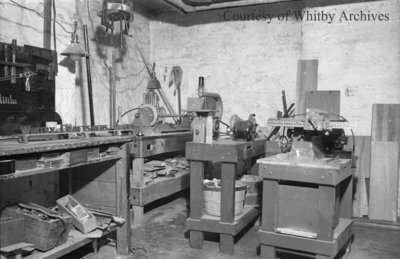 A black and white negative of the workshop used by the Craftsmen's Guild in Whitby, Ontario. Craftsmen's Guild, October 24, 1939, Marjorie Ruddy. Whitby Archives A2013_040_779D.